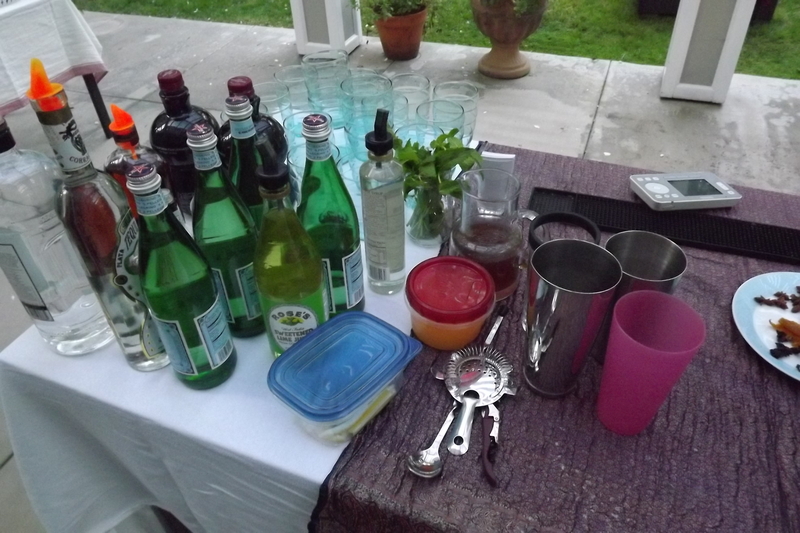 Friday night I was the bartender at a Beverly Hill Moroccan themed birthday party. I was hired just a couple of days prior, so there wasn’t much time for preparation. I usually make a detailed list for people on what they need to buy for a party and a drink menu, but we didn’t really do that other than just over the phone. The bar was a little limited as for what I had to work with, but I made it work. The host wanted to do a Moroccan themed drink and she made cinnamon infused simple syrup for the drink. I didn’t catch the name of the drink, but we coined it the “Moroccan Rocket”. It was made with Bullit Rye Whiskey, a dash of orange bitters, a dash of Rose’s lime juice, a teaspoon of the cinnamon infused simple syrup, and then club soda poured over ice with an orange peel garnish. It was a big hit! I brought my martini glasses and served a few martinis. I had squeezed lemons from a tree in my back yard. We have the best, juiciest lemons I have ever seen. They have a darker peel than the lemons you buy in the stores, and they are so juicy and kind of sweet. I add an ounce of that to two and half ounces of vodka with a dash of simple syrup and add a lemon twist garnish. That makes the perfect Lemon Drop Martini. We also served pomegranate martinis. I like to say I invented the pomegranate cosmo when I was bar manager at Frascati, but I’m sure about 10,000 other bartenders were also inventing it around the same time. There are different recipes, but I like to use Pom juice, and not pomegranate infused vodka. I like to use fresh ingredients rather than any infused liquor. I use two and half ouces of vodka, and ounce of Pom juice, and a dash of lime juice. The drink has a nice tart taste and is not too sweet. I also made what I called “make shift margaritas” with tequila, the fresh lemon juice and Rose’s lime and people loved them. I like working with fresh ingredients and will try to do more of that. 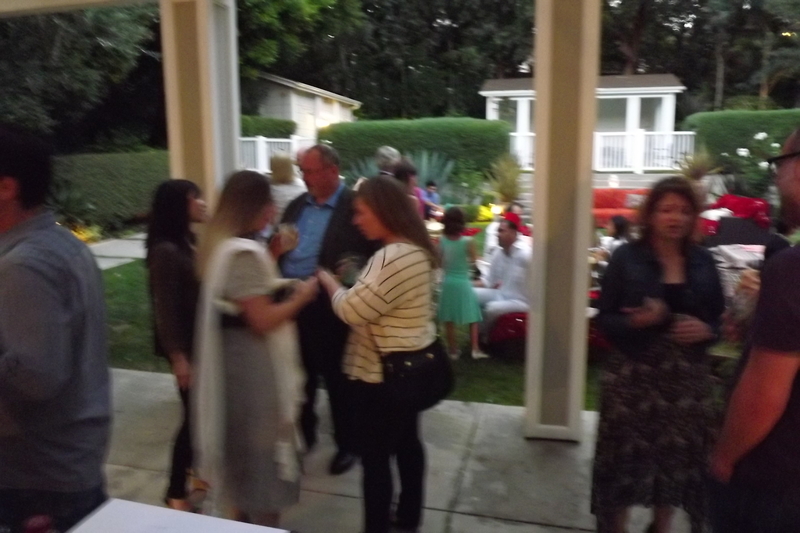 Tonight, I’m off to a birthday party in San Clemente, and then next weekend I will do a Fourth of July party and a wedding in Orange County.